A multiple national and international award winner, Kennis Ang started her formal music education at the age of 7, and has not looked back since. She is currently under the tutelage of Professor Thomas Hecht at the Yong Siew Toh Conservatory of Music, Singapore. Kennis achieved high distinction in all her piano practical exams and was twice invited as the highest scorer to perform at the ABRSM High Scorer Concert in 2011 and 2013. 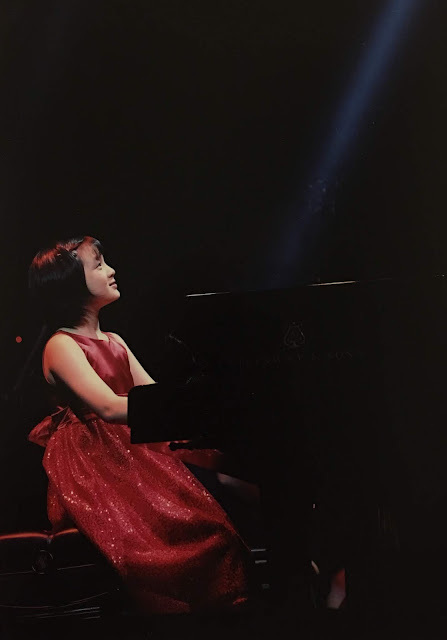 She won third prize in her first piano competition when she was 9 (1st International Chopin Piano Competition, Singapore) and had since received numerous awards for her performances at piano festivals and competitions, such as the National Piano and Violin Competition, the biennial SMTA Performers' Festival, Young Talents Project and Yamaha Piano Competitions. After clinching the second prize in the 3rd F.J. Benjamin-SYT Music Competition, she was awarded a scholarship of $10,000 to further her musical skills. Always on the lookout to improve on her pianistic skills, she has also participated in a number of masterclasses by renowned artists such as Aaron Shorr, Dina Parakhina and Zhang Haochen, just to name a few. Among the many concerts Kennis has performed since an early age, her most memorable one was for the late President Nathan at President's Challenge 15th Anniversary Commemorative Dinner at The Istana. Kennis enjoys playing the flute during her free time. She believes that music tells stories that cannot be told through mere words, and hence loves to share them with the audience during her performances.